Give your speakers the opportunity to edit their data easily and individually without registering. 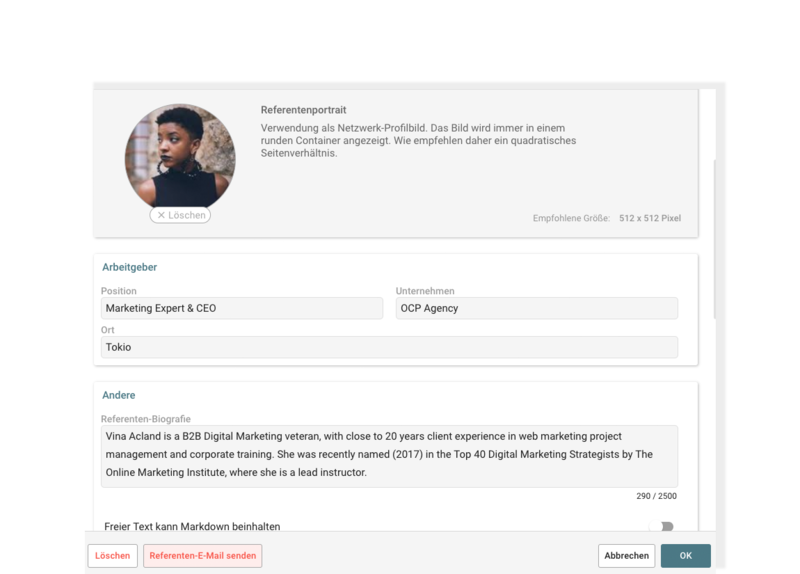 The speaker can update and edit data like profile photo, biography, contact data, social media profiles and more according to his taste at any time. As an event manager you will be informed about every change and can then decide for yourself whether the change should be published or not. So you keep the data on your event website and in your event app up to date. The speakers receive an e-mail link "at the push of a button" for automatic processing of their speaker profile as well as the talks, workshops, roundtables etc. in which they participate - no registration, no login required. Guaranteed quality control and quality acceptance without e-mail ping pong. 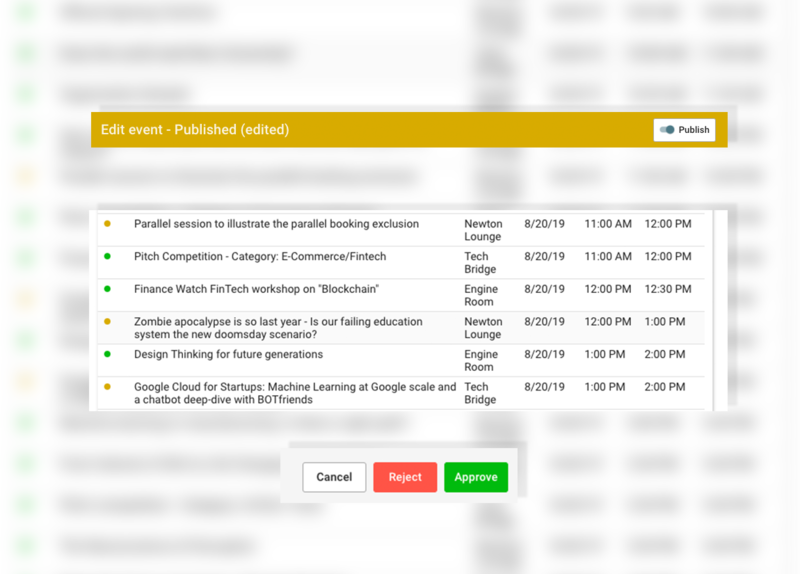 You can easily brand your event and edit the text of the email for the speakers. If required, the speakers will receive detailed explanations on how to use the individual branding and text elements. Uncomplicated drag & drop file upload for image elements, videos, presentations, etc. (up to 256 MB each). The data for the website, app and PDF agenda are made available (edited if necessary) and published by the organizer - conveniently with one click in talqueCMS. If you want to know more about this feature or the talqueCMS, just contact us. Your event app is available for iOS Apps from the App Store and for Android Apps from Google Play. Have fun! If you have any further questions, please have a look at our FAQs or contact our support directly in the app, web app or web version. If you like talque feel free to join us on Twitter, Instagram, LinkedIn or Facebook and give us a high five.